Condon has made it clear he wants to run the city like a business. 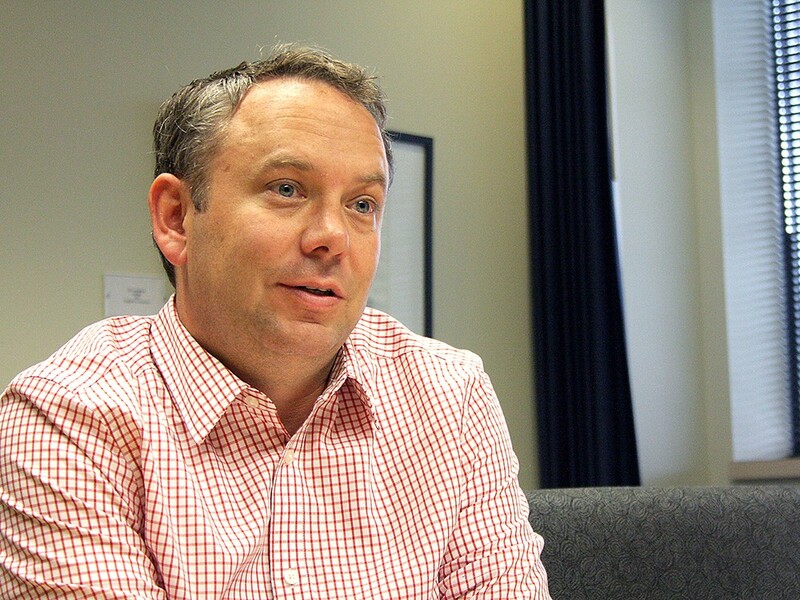 Whether contracting city work to private companies or seeking out city employees with private sector expertise, Mayor David Condon has made it known he’s looking to run City Hall more like a private business. In his latest move, Condon has pushed for more hiring and firing power over high-ranking city officials, and he looks poised to win the newest increase on that front Monday. In April, the city’s fire and police departments reorganized, rebranding as divisions and adding new departments to increase the number of positions filled through appointments instead of civil service, the testing process used to hire and discipline city employees. Department heads are exempted from that process, so creating new departments offers the chance for the mayor to appoint more people, who are then approved by the City Council. Now, the Parks and Recreation Department is proposing a similar move, creating four departments within it and 10 total exempt positions, up from the current two. Between the three divisions, that’s a jump from six to 40 exempt positions. Like Police and Fire, Parks is unlikely to fill them all immediately, but the changes pave the way for the future. In a city of more than 2,000 employees, the proportion remains small, but the changes have prompted discussions of nepotism, due process and the city’s historic civil service process. The administration says changes will help create efficiencies because department heads will have more flexibility to hire the best people to help run their departments — people vulnerable to firing if they don’t do their jobs well. “Folks are being held accountable in ways they’ve never been held accountable before,” says the mayor’s spokesman Brian Coddington. But others worry it’s exempting too many people from important checks to make sure they’re qualified for their jobs while making entire departments vulnerable to the whim of every new mayor. Soon after the earlier change, the firefighters union sued the city over whether the move was legal, but that case won’t be heard until next summer. Council President Ben Stuckart, who opposed the changes because they didn’t happen at the same time as department budgeting, as outlined in the city charter, now says he’s on board with the Parks change because it was postponed to align with the budget, on which the Parks Board will vote next month. He says he still has “larger concerns,” including whether it could be difficult to find experienced managers willing to risk taking a new job that offers few protections from firing. Stuckart says the fire department chief told council members the civil service change is one reason the department is having trouble finding a replacement for Deputy Fire Chief Bob Hanna. While the department planned to find his replacement by the end of the year, that now appears unlikely and the council will vote to extend his retirement benefits until a replacement is found. Assistant Chief Brian Schaeffer calls Stuckart’s statement “completely untrue,” saying instead the civil service change simply delayed the hiring process because the department had to rewrite the job description and announce it again, not because it discouraged people from applying. Parks Department Director Leroy Eadie doesn’t shy away from the fact that the changes will make it easier for him to fire his subordinates. In fact, that’s why he’s pushing for them. Some say the efforts to circumvent civil service entirely prove the need for a major overhaul of the program, to update tests and processes to reflect the modern day workforce. But Civil Service Chief Examiner Glenn Kibbey calls that argument a “red herring.” He says his office works closely with department heads to rewrite job descriptions to reflect what they want in a new hire, meaning any department head should be able to craft an effective team by the book. “The citizens that created this city charter and this form of government ... had certain expectations for the mayor and certain expectations for the council,” he says. “I’m sure they never intended to be having an unlimited number of departments to get around that system."